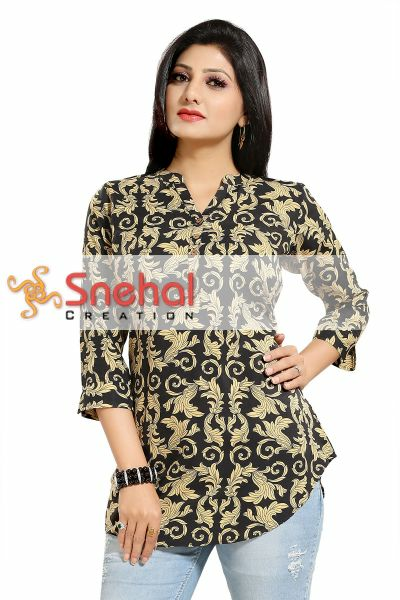 Brush up your fashion wardrobe as you wear this Beauteous Black Poly Crepe Printed Short Tunic Top for Women from Snehal Creations. 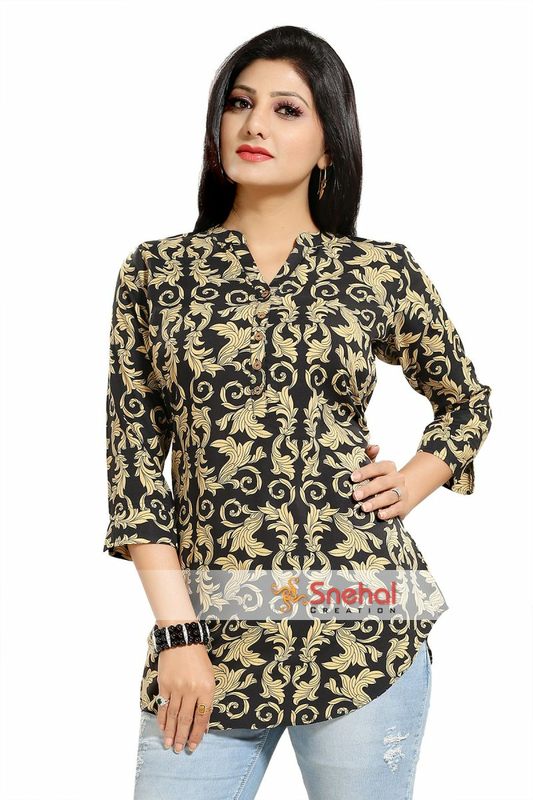 This ban collared beauty is made out of luscious printed crepe fabric in black. 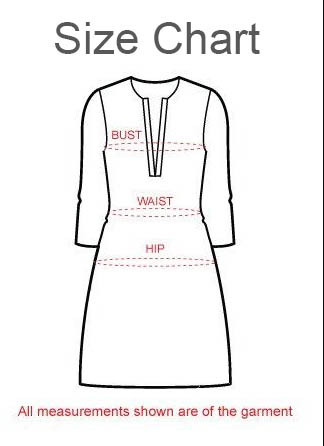 The sleeves of the Tunic are three fourth. 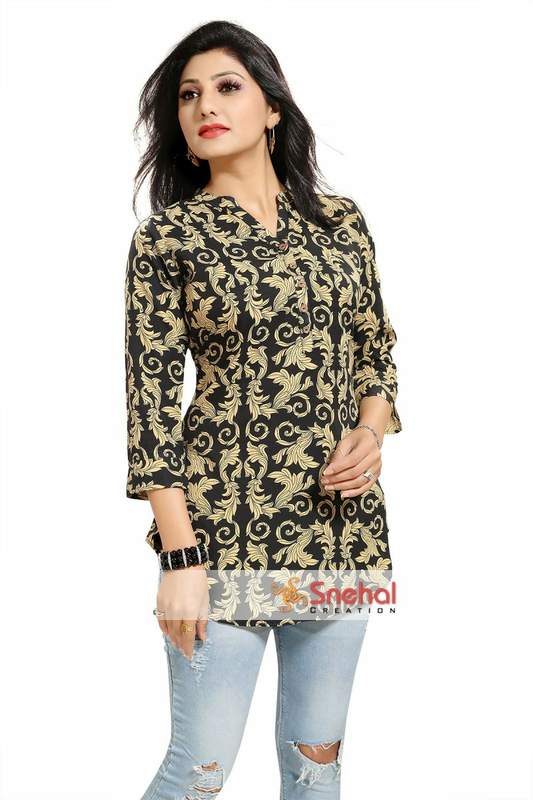 Wooden buttons adorn the gala patti of the Tunic. It goes well with a pair of black Salwaars.